Thien Mu Pagoda – Heaven Fairy Lady Pagoda is the most ancient pagoda in Hue city. It is situated on Ha Khe hill, on the northern bank of the Perfume River, in Huong Long village, 5 kilometres from Hue city, which is easy to reach from the city centre. Heaven Fairy Lady Pagoda is based on a legend of local people. Long time ago, an old strange woman appeared on the hill where the pagoda is located today and told to local people that a Lord would come and build a Buddhist pagoda for the country’s prosperity. Then, she disappeared suddenly and no-one saw her later. After that, Lord Nguyen who was a devotee and always expected to make country be more prosperous, listened the story. Right after, he decided to buil Heaven Fairy Lady Pagoda as the old stanger told and believed that the stranger woman was a embodiment of Buddha to remind him what he should do for his locals’ belief and country’s prosperity . With this mysterious history, the pagoda has attracted a great number of tourists from inside and outside of the nation to come and explore the legend themselves. One of very famous tourism activities which no tourist want to miss in Hue is boarding a Dragon boat on Perfume River to visit Thien Mu Pagoda. Another beautiful and ancient pagoda from Hanoi – the capital of Vietnam – the center of Vietnamese culture and history. Tran Quoc Pagoda in Hanoi is the oldest temple in the city, with more over 1,450 year old. It was built in the sixth century under the reign of Emperor Ly Nam De (544 to 548). The main part of this pagoda located at Kim Nguu Islet – Westlake. You will have to across to bridge to reach the pagoda. However, When founded, the temple was named Khai Quoc – Founding State and was located on the banks of the Red River. Because of flood and invasion of the Red River, in 1615, it was re-built and located at the Kim Ngu Islet of West Lake where it is located nowadays. There are many monks living at this pagoda and teach the Buddhism to public. Besides, here are many Buddhist symbols at Tran Quoc Temple. The eight-wheeled wheel symbolizes Buddhism as it symbolizes the Noble Eightfold Path. At Tran Quoc Pagoda, there are many lotus statues. Symbols for purity of mind, body and speech. The lotus also represents enlightenment and accomplishment. The stone walls at the side of the temple are many carvings of lotus flowers etched in stone. The carvings depict the beauty of nature in Vietnam. After the most ancient pagoda in Hanoi – the capital of Vietnam, we will visit the most oldest pagoda in Ho Chi Minh City – Giac Lam Pagoda. It was bulit in 1744. 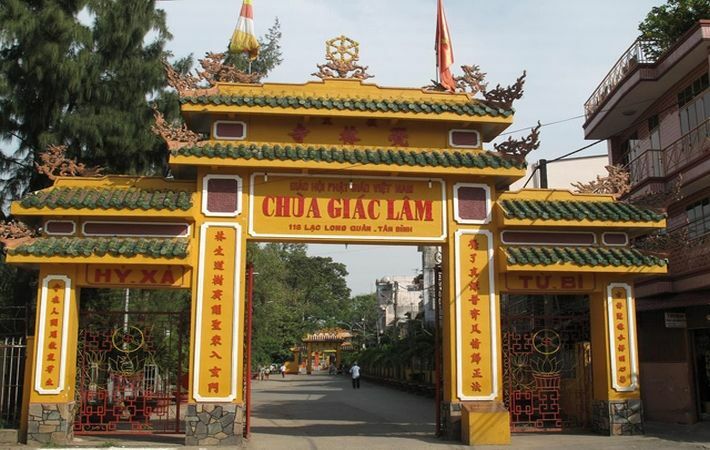 The name “Giac Lam” means “Feel the Woods Temple”. Why it has this name? There is many reasons to explain for this special name. However, there are two reasons which you can realize righ after you entering through the main gate of this pagoda. All of small temples. statue and main architecture of this pagoda was made from valuable wooden. Another reason is that this pagoda is surrouned by garden full of tall trees. Especially, there is a tall Bodhi tree – the symbol of Buddhism. This tree came Giac Lam Pagoda on June 18, 1953 and nowadays, it is considered as a symbol of Giac Lam Pagoda. 8. Chua Ngoc Hoang – Jade Emperor Pagoda. This temple is dedicated to various gods, Taoists and Buddhists of the China-Vietnamese culture and especially to the Jade Emperor, the Supreme of Taoism God. The facades of the Jade Emperor Pagoda are brick painted in pink without greater interest, major architectural and artistic attractions are the tiles and sculptures of roofs and above all, the doors of the temple carvings, authentic works of art and unique style Yin-Yang of the roofs. To decorate the Pagoda of the Jade Emperor, the Cantonese community was inspired by many Buddhist legends and myths. The doors are carved with figures of men and gods, in the interior of the temple, in the room of 10 hell have the representation of the 1000 torments and flanking the main sanctuary, the giant demon guardians of 4 meters in height. 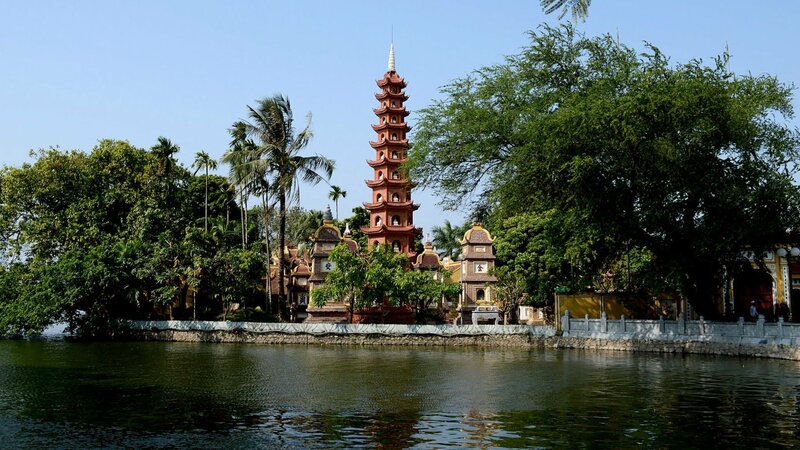 This pagoda was originally known with the name of Pagoda Ngoc Hoang, but it was renamed in 1984 as Pagoda Phuoc Hai Tu, a name which it retains to this day. Ngapali is located on the Bay of Bengal coast in Rakhine State, its main feature is an idyllic stretch of white sand and palm tree-lined coast, with a number of resorts spread out next to traditional fishing villages. The beach stretches about 3 km with soft white sand fringed by coconut palms. Unlike today’s beaches of Asia, it is free of noisy beachside bars, crowded people and hawkers persuading you to buy their things. There are only natural scenic beauty of the blue sea, white sand and the lovely sun. The sea is cobalt blue, without any dangerous marine animals and clean. Do you like peace and tranquility, and visit places “far from the madding crowds?” As many of us now live in crowded cities with the stress and strain of over-population, we need periods of relaxation away from urban areas, and go back closer to nature. We just take a short 45-minutes flight from Yangon and 9 km (6 mile) drive by private transfer from Thandwe Airport to Mya Pyin Village. Renowned for its beauty, Ngapali Bay offers a warm tropical climate throughout the year. Escape to paradise on the soft white sands of our vast beach facing the bay of Bengal, with dark green forested hills as a patchwork backdrop of paddy fields. It serves as the best ground for sunbathing and recreation such as beach strolling, cycling and so on. The best time to go to Ngapali beach is from October to May. From June to September (monsoon season): It is raining a lot, really a lot. During the monsoon season the weather can be very rough, the sea is not very quiet and the rain can be also 24hours. 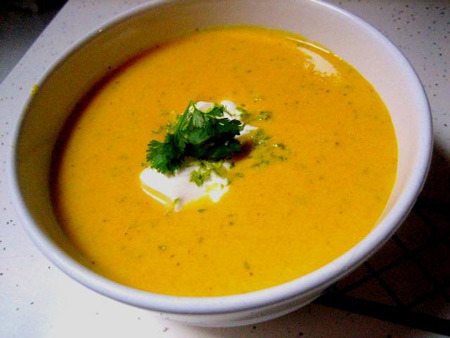 Most of hotels and small restaurants are closed during this period. Please be aware as well of the limited flight schedule between May and September. By Air: Thandwe Airport is located about eight kilometers north of Ngapali Beach and is a 10 minute car journey away from most of the area’s resorts and hotels. Daily flights connect Ngapali and Yangon — the journey takes about 50 minutes. Thandwe Airport is a domestic airport with no international flights. If you’re travelling from any other Southeast Asian country, you’ll need to travel to Yangon first before making your way to Ngapali Beach. By Bus: Ngapali Beach is accessible by bus from Yangon. The journey takes about 14 hours and can be quite bumpy and comfortable due to Myanmar’s road network. Most travellers to Ngapali Beach travel from Yangon to Thandwe by air due to the far shorter travel time. Ngapali has the biggest number of luxury beachfront resorts. Room-renting services here are diverse. You can choose from a small hut on the beach to luxury villas. The number of mid-range or budget beach hotels is now shrinking as the new international tourism boom entices owners to redevelop older hotels to meet the more exacting standards of the international market – and thus collect the much higher room rates. Both room rates and standards in Ngapali are already well above other beaches in Myanmar and as this beach continues its up-market march, it is destined to remain the country’s premier beach destination for some years to come. There are many hotels, resorts in Ngapali with prices ranging from luxurious to budget for your choice. Here is the map of Ngapali beach so you can get an idea of where each hotel, resort is. Ngapali is about relaxing and enjoying the sun, but other activities include taking trips on local fishing boats; kayaking; snorkeling or scuba diving amongst the brightly coloured fish; and cycling or motor biking down the beach and around some of the local villages. This place offers a wide range of activities and adventures, including private boat trips to Pearl Island, snorkeling, e-bicycle rentals for exploring nearby villages, excursions to Kin Pun Chone Village where the Elephant camp is located, visits to local art galleries and Thandwe Market. • Relaxing: Indulge yourself by sitting back and unwinding with ice cold beer or a tropical cocktail while enjoying the sun. You also can take a traditional bullock cart ride along the beach. • Kayaking; snorkeling or scuba diving: Explore many bays and mangroves, dance along with large schools of brightly colored fish. • Bird watching around Nghet Pyaw Chaung Lake. There are 30 species of birds in this area. • Playing golf: Ngapali has a beautiful 9-hole golf course located some kilometers North of the beach, between main beach resorts and the airport. • Visiting fishing villages: There are two fishing villages here; one in the South of the hotels, and another further South into the next bay. You can delve into traditional local life in these villages. The first one can be reached by foot; you can explore the other by using a bicycle, motorbike or being in a fishing boat tour. • Visiting Thandwe: If you like some time away from the beach, then visit Thandwe. Located 7 km from the beach, this little town has 3 interesting pagodas, a bustling market, a traditional longyi-weaving factory. • Visiting a dead monk: Salone Monastery is the home to a late Buddhist monk who put himself in the meditative state of death over 10 years ago. Since then, his mummy has been kept under glass. • Have hot air balloon ride: You can get on a hot air balloon for amazing views of Myanmar’s wildest and least-known reaches. Travelers called Ngapali Beach “a touch of paradise,” rating the stretch of sand for its relaxing atmosphere, gorgeous sunsets, and local village feel. Come to see its charm where you will find serenity and peace of mind amidst beautiful scenery. Hue has long been famous for its historical vestiges inside the ancient city namely as Imperial Citadel, Thien Mu Pagoda, Kings’ Tomb of Khai Dinh, Minh Mang, Tu Duc. However, if you have chosen to extend your trip up to 2-3 nights in this peaceful city, here are several traditional villages on the outskirt of Hue that you can embark on only for a day trip to discover more about its own stunning cultural values. Thanh Toan Village is 8 km east of Hue city in Thuy Thanh commune is one of the most beautiful villages in Hue. This village has become popular for tourists due to its beautiful roads, peaceful rural landscape and specifically the tile-roofed bridge named Thanh Toan which is an ancient architectural monument of extreme value in terms of history and culture. As locating not far from the city, tourists can visit this village by bike to leave the hustle and bustle of the city life behind. On the way, it is possible to cross beautiful rice paddy fields and meet friendly local farmers that both make Thanh Toan village an ideal and peaceful place to visit. Having reached Thanh Toan village, visit Thanh Toan Bridge built in 1776 is one of the top memorable things. Considered as the sister bridge of Hoi An’s famed Japanese bridge, this bridge is classified as a rare relic and to have high artistic value in types of ancient bridges in center Vietnam because of its tiled-roof architecture. Beside the bridge is the village market which is small but offers everything that worths to see. Tourists will be immersed in a space of culinary specialties like Hen rice (baby clam with rice), fish-pancakes and a wide variety of rice noodles. On the other side of the bridge is a showroom displaying agricultural tools: plows, harrows, sickles, scoops, and rice mills where adults and children can both experience the daily activities of local people as well as taste sample local food. Located in Phu Mau commune, about 9 km to the east of Hue, Sinh Village is regarded as the homeland of Hue folk paintings as this village has made folk paintings for the central region for more than 400 years. Making paintings is not a professional job of the local people in Sinh Village because the farmers make use of their time during crop intervals to create these beautiful fine arts. 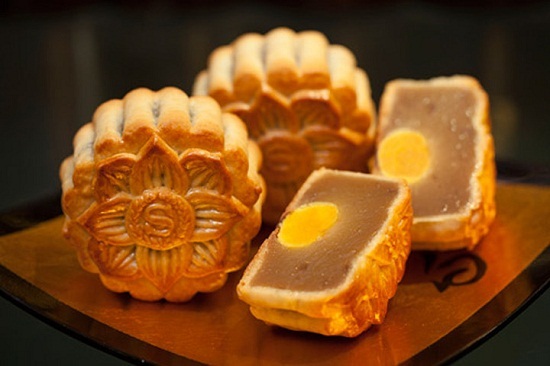 The peak season of Sinh folk paintings is from the 10th lunar month to the next February and Sinh paintings are mostly used during the traditional lunar New Year festival and in some special worshipping ceremonies. Locals buy Sinh paintings to practice their belief and religion by hanging them at the ancestors’ altar or decorate their house. The main topics that Sinh paintings express are characters, objects and animals which are peaceful and harmonious with the locals’ real life. While Dong Ho folk paintings in the North (Hanoi) have just four or five main colors, Sinh paintings have more depending on the artists’ imagination. The five main colors of Sinh paintings represent the five elements of the earth: metal, wood, water, fire, and earth and these colors are made from natural materials found in the jungle of the West Hue. Papers used are made from clam shells taken from Tam Giang lagoon. The shells are ground into powder, mixed with glue, and then pasted on paper to make shell paper. 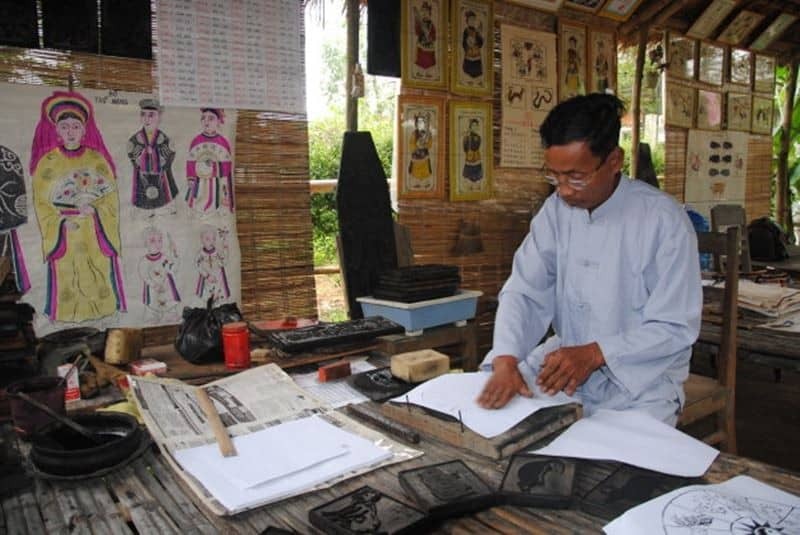 Visitors to Sinh Village can get a chance to make their own painting, from printing to hand coloring. After your “masterpiece” is completed, it is rolled up in a bamboo tube to be protected. It is certain that Sinh paintings are the favorite souvenirs for tourists who pay a visit to Hue. Thuy Bieu village is an ancient village situated on the southern bank of Perfume River. Merely 7km from Hue city centre, Thuy Bieu is a hidden gem of untouched nature and culture and is mostly famous for its mild sweet Thanh Tra, a special kind of pomelo with refined fragrance and green skin. 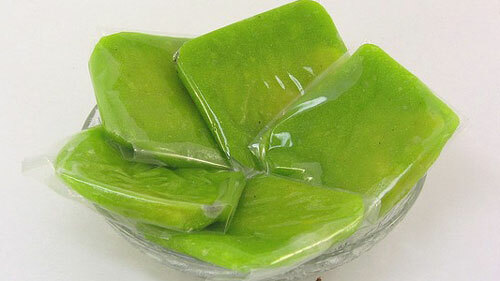 Its local name is Thanh Tra or “green tea citruit” as its flesh is juicily light green. When spring comes, the village is filled with its aromatic white flower and when autumn comes, it is time for locals to collect the ripe pomelo. Locals even celebrate “Thanh Tra Festival” that is as important as “Cherry Blossom Festival” in Japan every spring. Despite all ravages of wars and time, Thuy Bieu still remains intact which can be seen by its rustic settings of small cottages hidden in large luxuriant gardens, long gates and fences carved out of ornamental trees. All are typical of Hue countryside as many hundred years ago. The local villagers earn their living mainly by rice cultivating, gardening and handicraft making so visiting Thuy Bieu Eco village, just walking into famous gardens for growing Thanh Tra, visitors can immerse themselves in the cool atmosphere and the peaceful countryside of Hue land. 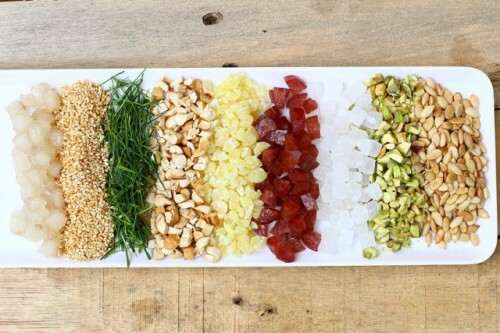 Do not forget to taste the sweet, fragrant and cool favors of the renowned Thanh Tra pomelo when you in Thuy Bieu. You can choose to do a cycling around the village to visit some handicraft families such as the incense making family, the joss paper making family and the paper painting family to discover the daily life of local people while they are working strenuously with joy and enthusiasm. 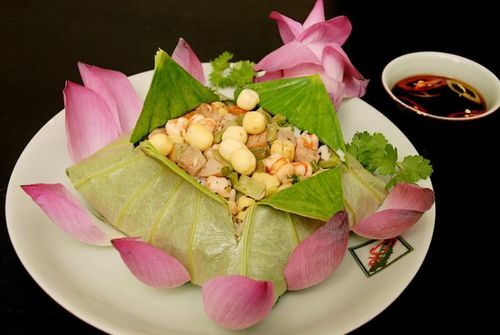 The other interesting activity that attracts tourists to Thuy Bieu is a cooking class for anyone loves cuisine. You may be guided by the professional chef to Thuy Bieu local market and spend time to stroll around & buy necessary foods for cooking class. 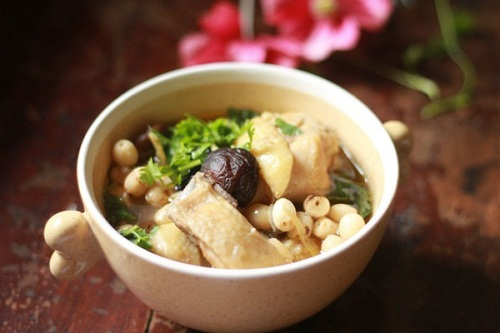 After preparing a local lunch by yourself under the instruction of our chief, you cannot wait to taste the Hue traditional dishes that you have prepared. I believe you may find my suggestions helpful for your free day in Hue. Happy traveling!